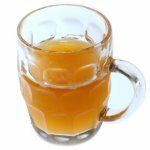 Beer is one of the most popular low alcohol drinks in the world. Iceland, the United Kingdom and the United States of America celebrate their Beer Days (by the way, there are three different holidays dedicated to beer in the USA). And International Beer Day is celebrated on six continents on the first Friday in August. International Beer Day was celebrated for the first time in Santa Cruz, California in 2007. Soon this food holiday grew from a small localized event in the United States to a world renowned celebration. It spread to 207 cities, 50 countries and 6 continents! Until 2012 it was annually celebrated on August 5, but the fans of the event were complaining to certain inconveniences regarding the next working day. After the 2012 International Beer Day the date of the holiday was moved to the first Friday in August. Celebration of Beer Day encourages people gather with their friends and enjoy the taste of beer. One of the most popular traditions is tasting new or rare beers. The participants are encouraged to step out of their comfort zone and taste a beer from another culture. Today every festive event is somehow connected with beer: beer flights, beer pong, happy hours, beer pairings and beer giveaways.